Lisa again comes through with another fun project. 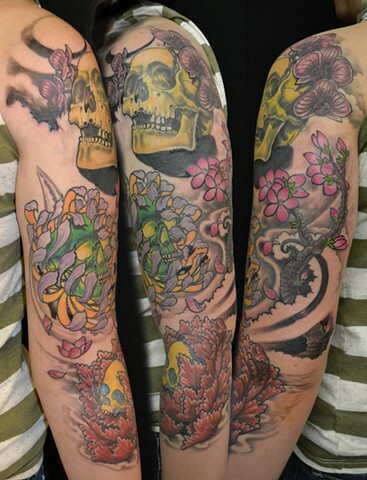 She gave me free reign over this one too - just wanted some flowers and skulls. Some of my favorite subject matter! I did a progression of age through the skulls. Thanks Lisa!